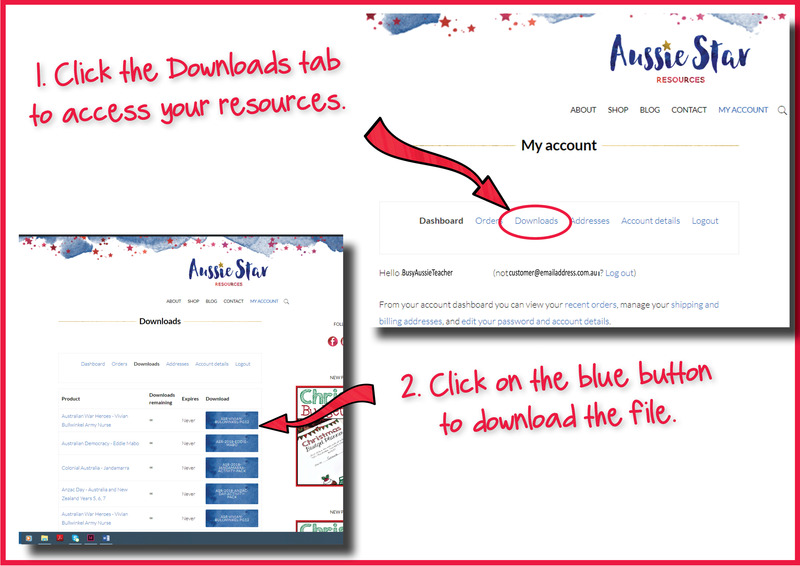 There are three ways to instantly access your resource. 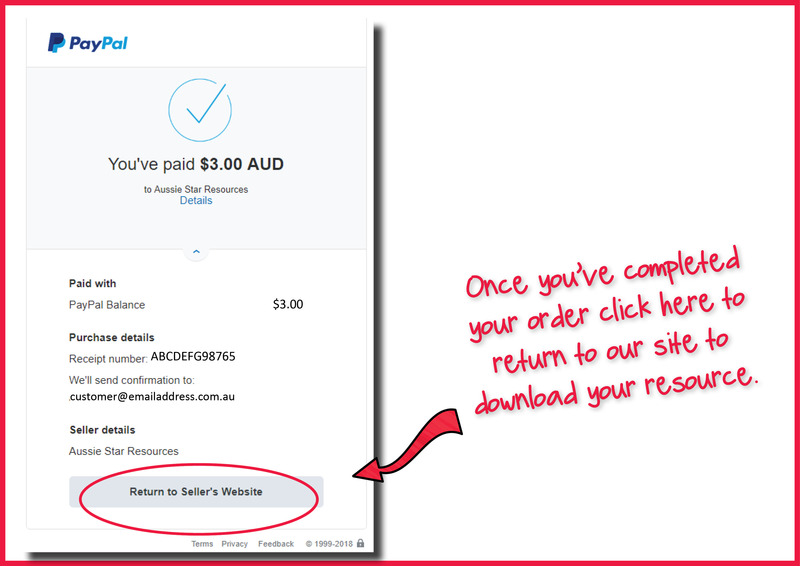 When you place your order through PayPal you will see a Return To Vendor link on the final screen of the checkout process. 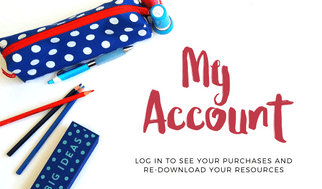 Click here to return to our website and access your order. 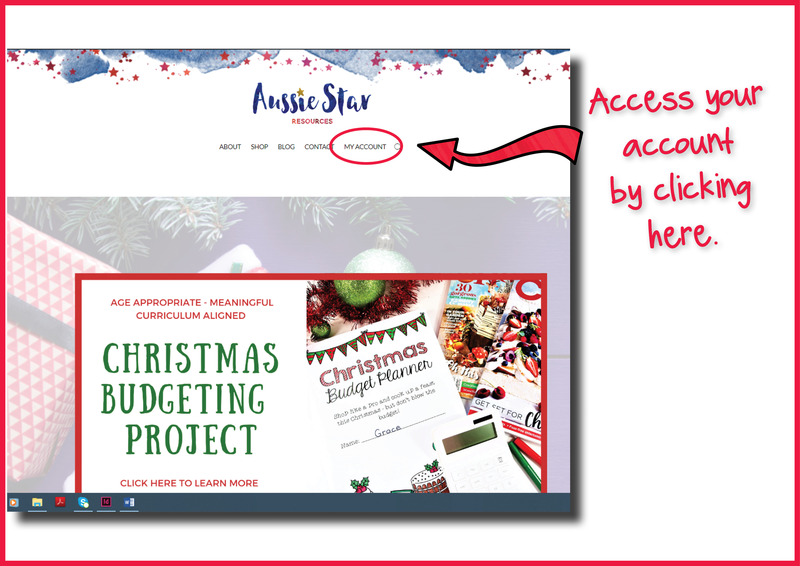 You will receive an email from Aussie Star Resources confirming your purchase. 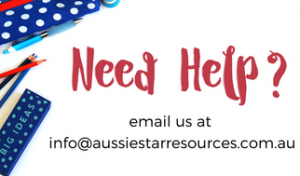 The subject will say "Your Order from Aussie Star Resources is complete." If you can't see it check your spam folder. 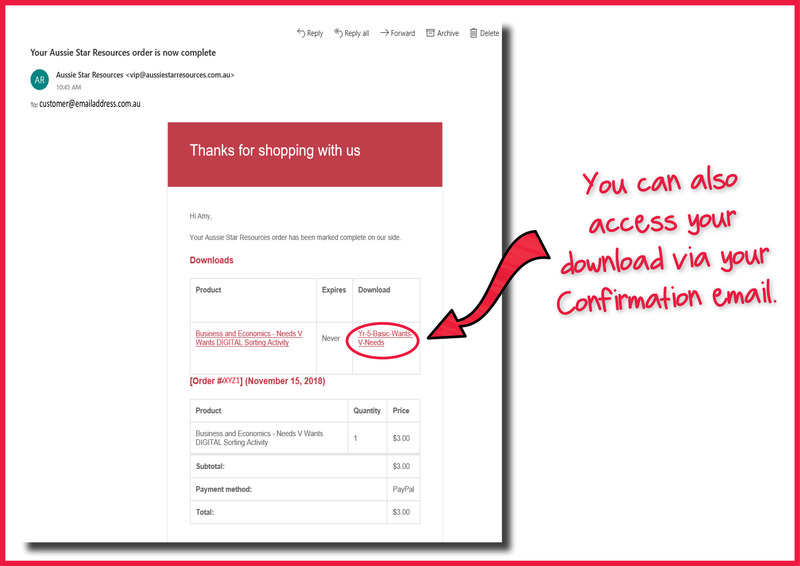 In this email, there will be a table showing your purchase and on the right hand side, a red underlined link which will automatically download your order. 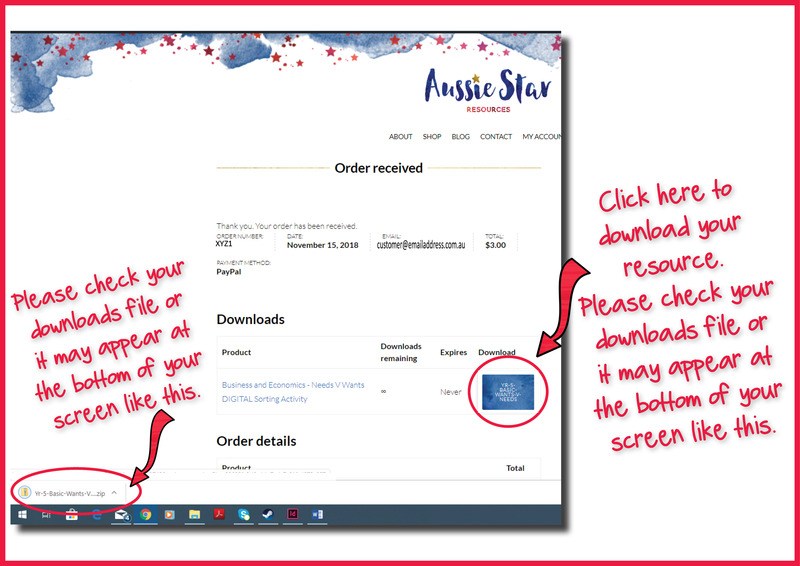 ​It is highly recommended that you create an account when you place your order so you can log in to your account via the My Account Page at www.aussiestarresources.com.au and click on the Downloads tab. Your purchases will be listed there an will always be available. You will also use this to download any updates after your purchase.